It’s difficult to avoid emotions that you get feel watching CocoraVelo video for the first time, a really great initiative from All The Places. All The Places is an adventure film series exploring our relationship with food, culture, sport and the environment. 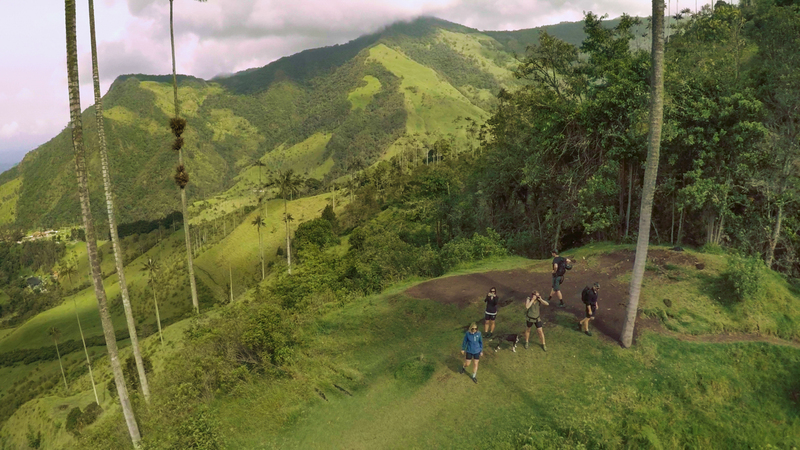 Each episode maps out a new travel route through a region of global significance – whether it produces coffee, whiskey, music, tea, apparel, world-class athletes, palm oil, or centenarians. His first trip tries to contextualize and humanize, that drink that many of us take daily, something extremely daily but that occurs in most cases. 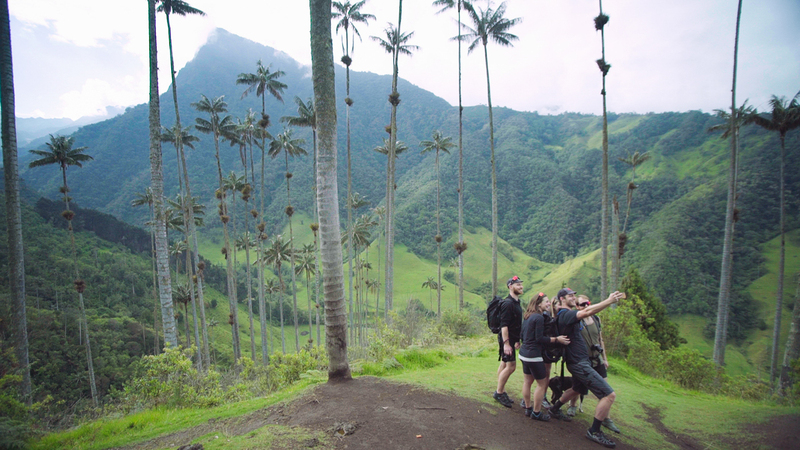 The guys of All the Places planned a trip to one of the best places in the world for coffee production, Colombia. 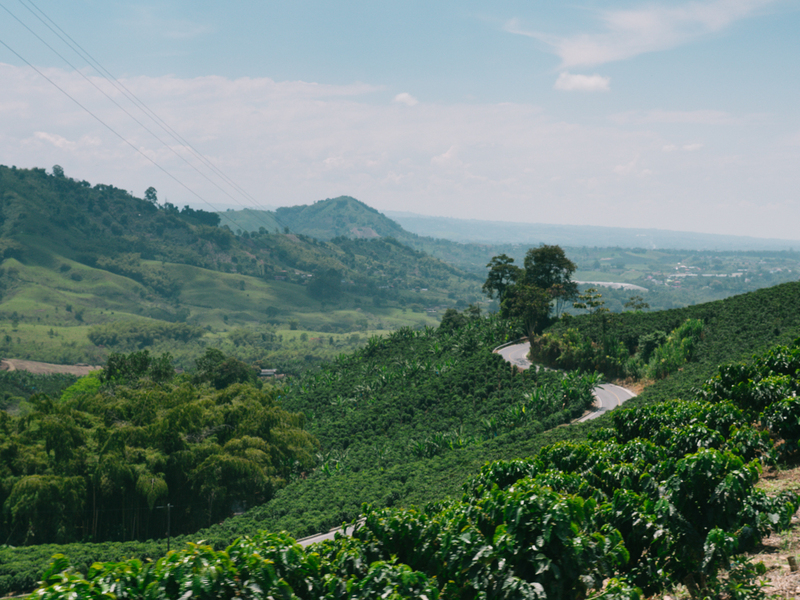 The largest coffee producer in the world and a cradle of legends of cycling present and future. A fabulous destination. We were talking with Zack Helminiak, leader of this adventure, and he answered us some questions that came up after watching CocoraVelo. 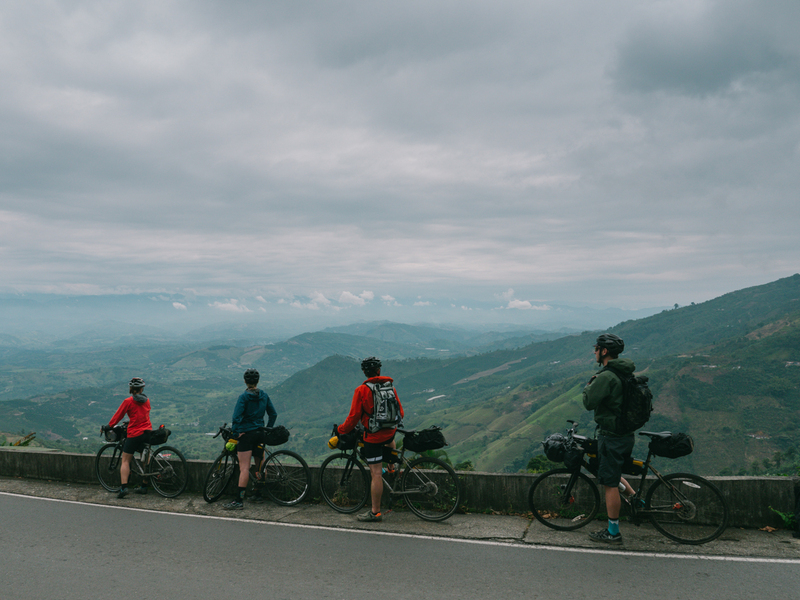 We were curious that a group of friends, passionate about coffee, decided to embark on a bicycle adventure through a country with high mountains as is Colombia. Why on a bicycle? “When I arrived in Colombia for the first time in 2016, I started to notice the cycling community. I loved that these cyclists were climbing mountains, covering long distances, and stopping at the most scenic views along the way. They earned the views and the cup of coffee at the end. 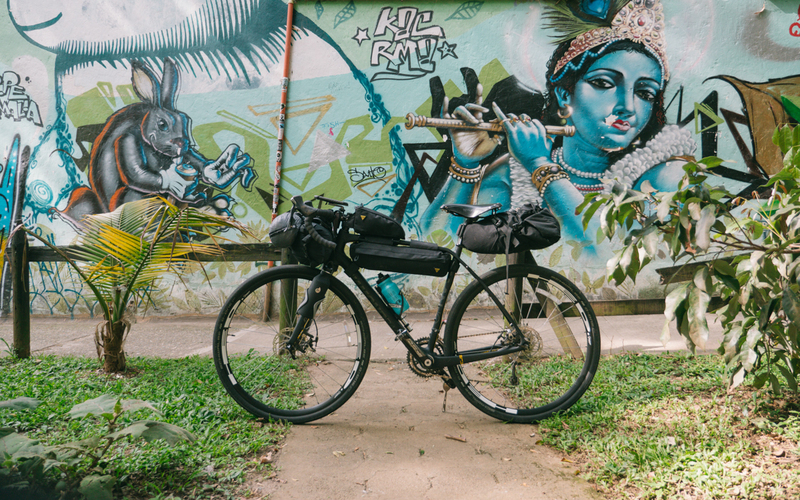 I contacted a local cycling guide at Colombia Cycling and asked if I could be their photographer for a tour. After a few days I was in love with the lifestyle of visiting small towns, waking up early, facing physical challenges, and having beers with friends after a day of riding. “I think it’s a marriage of necessity. 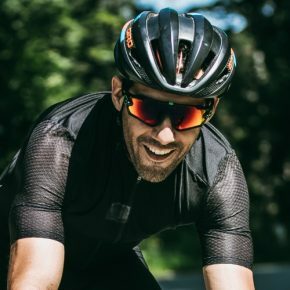 Most people go for rides in the morning, and the natural energy boost or reward at that time of day is going to be coffee. Coffee shops that embrace cycling are also just great places to be. I love finding a new trendy bike/coffee shop on Instagram and seeing the community around these two obsessions. Currently, people are concerned about knowing the origin of the products, for instance, the origin of the coffee. There is a movement that is concerned not only with the quality of it, also with sustainability, a key concept in the expansion of cycling as a modern means of transport. 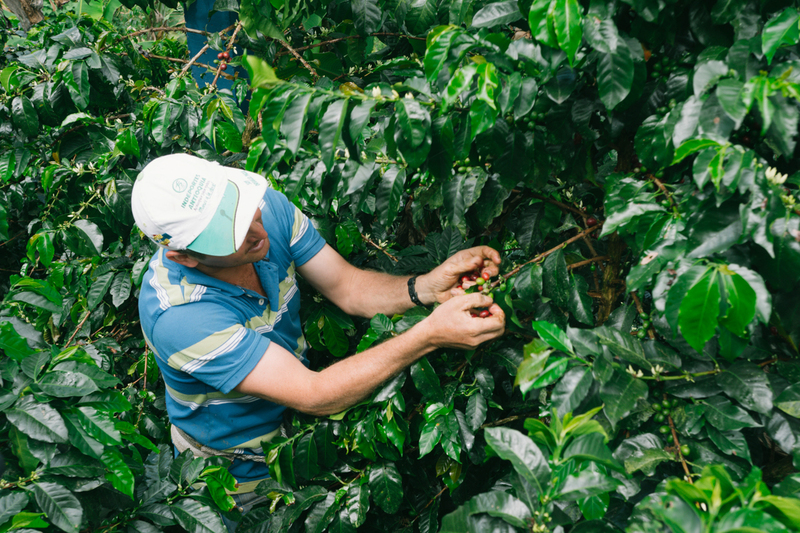 This sustainability must focus on the origin of the productive chains, in the case of coffee the first link, the farmer, is usually linked to poverty. 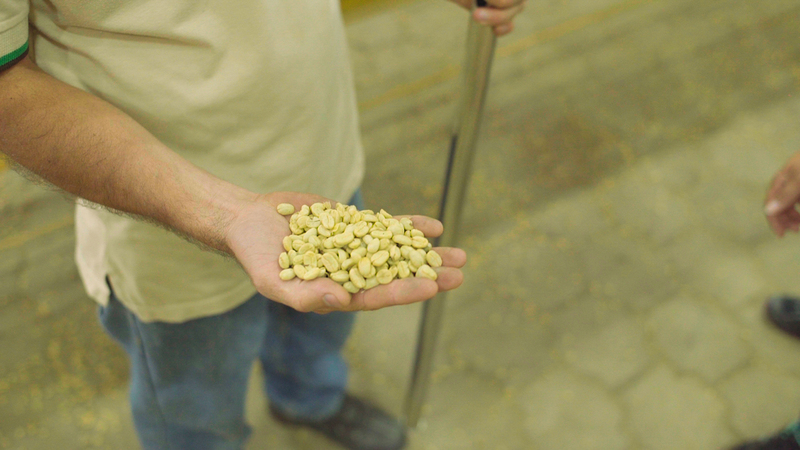 “Knowing the origin of your coffee, or of any product, is important. It gives you a better understanding of sustainability, of fair trade, and of the quality of the product you are buying. I am not an expert by any means, but I got the sense that the farms we visited were positive in all those categories. They were small farms of less than two acres, the biodiversity seemed to support migratory birds, different plants, and other animals that are important to the sustainability. 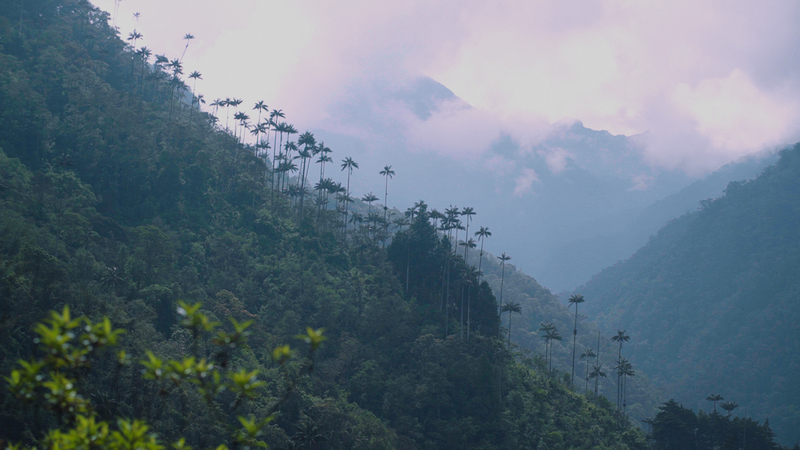 I do know that deforestation for farmland is a threat in Antioquia, but these particular farms seemed like part of the sustainable path. 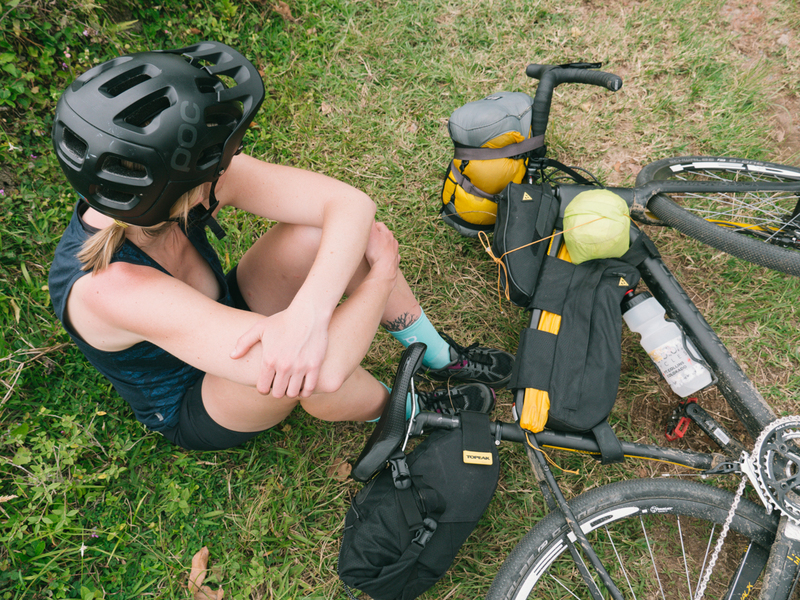 After that 5-day cyclist feat, we asked Zack if they would use their bicycles again. He told us without details that they are already planning their next trip to another country, about another product, but of course by bike. Follow them on their FB Fanpage and don’t miss the details of All The Places Series.